Do you need a local plumber? We often forget how much we rely on our plumbing system until something goes wrong. 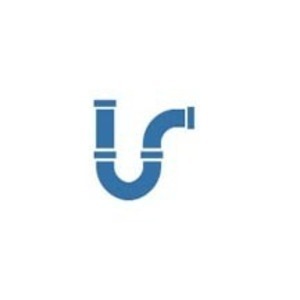 Our Fayetteville Plumbing Company is a trusted North Carolina plumbing company, known for quality, professional Fayetteville plumbers and superior work. We offer prompt expert plumbing service from our Plumbers in Fayetteville NC for your home or business, with available same day and emergency plumbing repairs. Flow-Rite Plumbing and Drain is here to provide quality solutions you can trust. Whether you are dealing with a Water leak, broken water heater, or drain clogs, our Fayetteville NC plumbers have you covered. With over 45 years of combined experience in plumbing in Hope Mills, Anderson Creek, Spring Lake, Raeford and surrounding areas bringing peace of mind to homeowners and business owners. We strive to provide the best customer service experience possible and bring you the best quality for your money. We are experts at repairing and replacing toilets, and are here to service all of your toilet repair needs. Have a clogged toilet? Our plumbing experts can eliminate those clogs so that your pipes are free of debris. Over time Sinks and Bathtubs will start to show their age and lead to leaks. Leaks can lead to costly repairs and cause damage to walls and flooring. Call one of our plumbers to repair or replace your Sinks and Bathtubs. Faucets have internal parts that can wear out and begin to leak. Leaky faucets can occur from handles or spout which means that water will start to run under and on to your countertops, this can lead to costly repairs to fix water damage. Do you have a garbage disposal in need of repair or replacement? If your garbage disposal is clogged or has stopped working, call today and we will have that garbage disposal working in no time at all. An early sign of water leaks are high water bills. A running toilet or a leak under the slab can cause your water bill to increase. If you suspect you may have a leaky water line then you should give us a call as soon as possible. Replacing an old water heater with a new one can improve your water heater's performance as it will be much more energy efficient, therefore saving you money on your utility bills. Ignoring drain line problems can result in costly repairs and replacement. Call us today to take care of your water and drain line needs. Delays in repair of these lines can result in a higher water bill and damage to your home. At Flow-Rite Plumbing & Drain Service, we understand the need for prompt and efficient service. A plumbing emergency can threaten both the health of your home and family. The longer you put off plumbing issues, the more costly repairs can be. Let our experts repair leaks and other issues in your system, fast. From routine maintenance to major water leaks, we are an affordable plumbing service ready to help. ​Plumbing repair service is what we do! With all the Plumbers in Fayetteville and Hope Mills, Why Choose Flow-Rite Plumbing & Drain Service? Our Mission? Get it done right with Flow-Rite! Local, family owned & operated, full service plumbing & drain service company, you can count on us! We always arrive on time, professionally dressed, and prepared to get right to work. From our experience to our dedication to ensuring your satisfaction, there’s no reason not to turn to Flow-Rite Plumbing & Drain Service. We handle all types of commercial, industrial, and residential plumbing installations and repairs. When you need a plumber, We will be there! Call the best plumbers in Fayetteville NC today! Copyright ©2019 Flow-Rite Plumbing and Drain. All Rights Reserved.